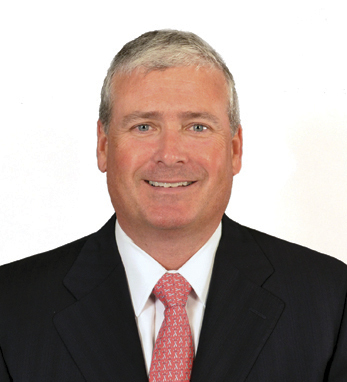 William M. Gillen is vice president of Eaton Vance Investment Counsel, where he is responsible for business development, marketing, and selective client advisory relationships. EVIC provides investment counsel services and custom wealth management solutions to high net worth individuals and families, trusts, charitable organizations, and institutions. Prior to joining Investment Counsel, Bill was a senior vice president for Eaton Vance Distributors. A trustee of the Dana Farber Cancer Institute, Bill also serves his local community as the president of the North Andover Scholarship foundation and sits on the board of North Andover Youth and Recreation Services. Bill received a B.A. from the University of Massachusetts at Lowell; he is also a certified financial planner and certified investment manager analyst. He and Lynn, his wife of 25 years, have three children: Kelsey, Brooke and Hayley. Bill is a third-generation Irish American with roots in Nenagh, Co. Tipperary on his mother’s side.